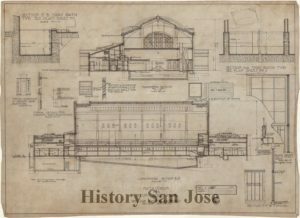 History San José’s Research Library & Archives curator has recently unearthed original architectural drawings from some of the architects that defined San Jose’s downtown in the early and mid-20th century. 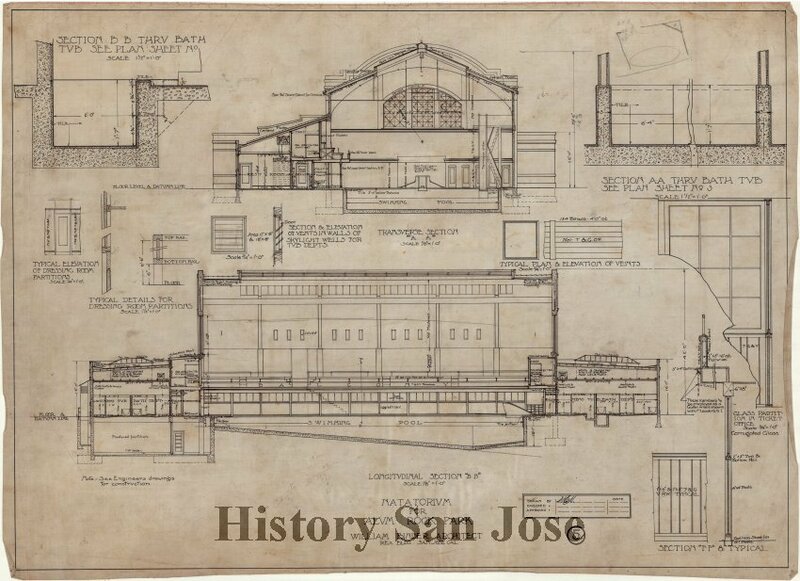 Most of these blueprints were likely transferred from the City of San Jose to the San José Historical Museum in the 1970s and 1980s, and were stored on pallets in HSJ’s Collection Center, part of the backlog of archival material that staff and volunteers are working hard to make available to the public. (Some of the plans listed below were donated more recently). Thanks to grant funding from the National Endowment for the Humanities, the Curator of Library & Archives has been able to move these drawings into archival-grade folders and flat files for long-term preservation, and catalog them in HSJ’s PastPerfect collections database for access by researchers. Below are some of the architects and example buildings. William Binder (b. 1871 in San Francisco), was the first local architect to construct commercial buildings with iron or steel reinforced concrete, and backed by T. S. Montgomery, completed plans for much of San Jose’s downtown buildings between 1900-1940. His buildings include the Alcantara Building (1903), the Jose Theater (1904), the Carnegie Library Building (1903), the YMCA (1913), and the Garden City Bank (1907). 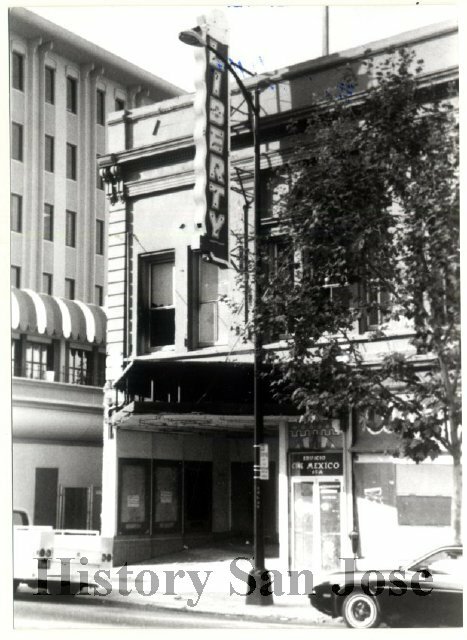 He was behind nearly all of the local movie houses as well, including the Willow Glen (1933). Ernest Curtis (b. 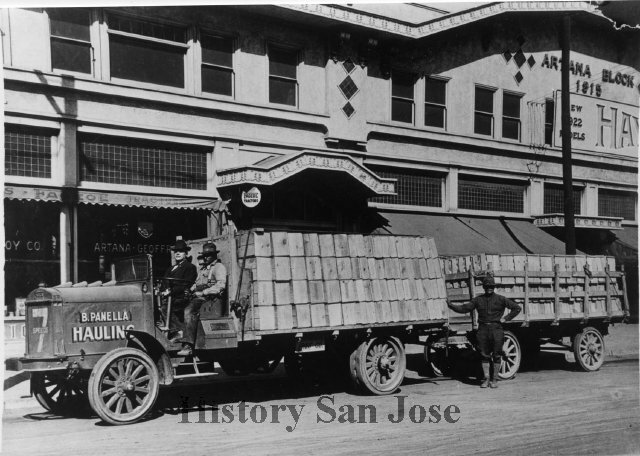 1889 in San Jose) was Binder’s later partner, a major contributor to city planning during 1920-1950. 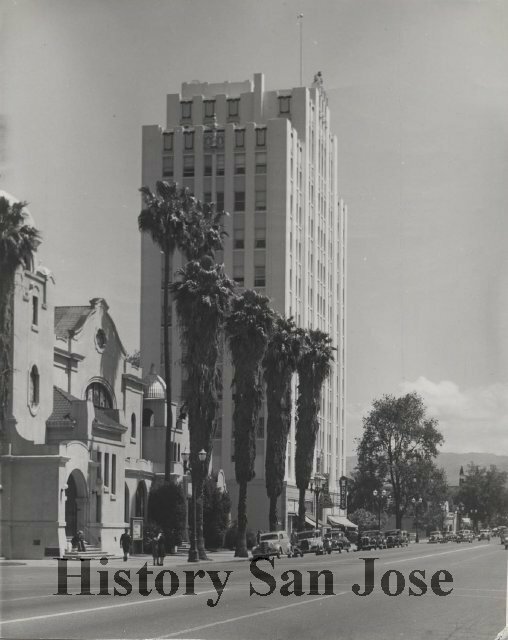 Binder & Curtis’ projects include the Commercial Building on North First Street, San Jose Hospital, Hale’s Department Store, and the Alum Rock Natatorium. The Lenzen family created many signature buildings in San Jose during the late 19th and very early 20th century, including O’Connor Sanitarium, San Jose City Hall, Odd Fellows Hall, and Fredericksburg Brewery. Eldest Theodore (b. 1833 in Germany) and brother Jacob are the most well-known; Louis was Theodore’s son, who continued the business as a registered architect. McKenzie (b. 1874 in Boston) was partners with Frank Delos Wolfe until 1910, but his career continued after they separated. He designed many residential properties, as well as commercial buildings including the Archers, Wenger, Knapp, Clark and Osen McFarland buildings, the County Infirmary, and the Hale Block. 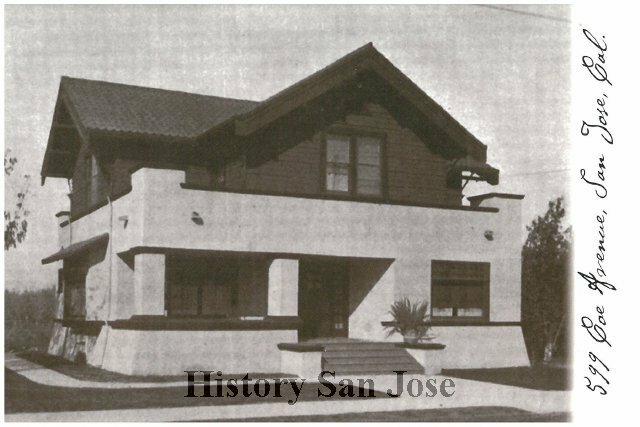 McKenzie was a leader of the Spanish revival style in San Jose, and was the architect of signature homes in the Naglee Park neighborhood. William L. Higgins partnered with Chester Root in 1936 to form Higgins & Root, AIA which was in business for over 50 years designing schools, churches, businesses and homes, often in the Modern style. They were founding members of the Santa Clara Valley Chapter of the American Institute of Architects. Weeks (b. 1864 on Prince Edward Island) had designed at least 80 school projects by 1930, as California established new schools to meet earthquake safety standards, including Campbell Union Grammar School, Woodrow Wilson Jr. High School, Roosevelt Jr. High, Herbert Hoover Jr. High, and the Campbell High School. 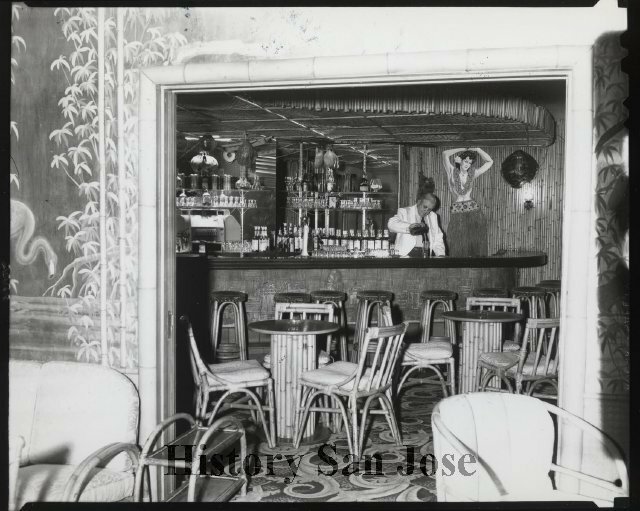 His firm also designed a number of Bay Area hotels in the Art Moderne Style, including San Jose’s De Anza Hotel (1931) and the Cardinal in Palo Alto (1922), and restored the Vendome Hotel after the 1906 earthquake. 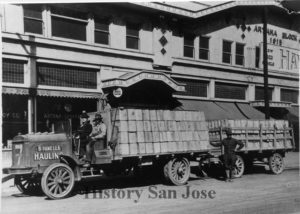 Weeks’ Medico-Dental Building (1927) on East Santa Clara Street was the tallest structure in town when it was built. Weeks was active throughout Northern California, but left a legacy in San Jose. Frank Wolfe (b. 1863 in Greensprings, Ohio) and his partners dominated the San Jose home design field during the period 1895 to 1926. Designs for commercial buildings were generally in Mission and Spanish Colonial Revival styles such as the San Jose Woman’s Club and the Sperry Flour Building on South Third Street. 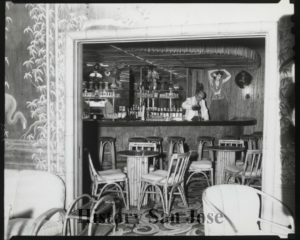 Wolfe is credited with bringing Prairie-style to the San Jose area. Carl J. Wolfe was his son, with whom he partnered between 1910 and 1918, after which he partnered with William Higgins.